Connecticut’s coastline isn’t its only waterfront claim to fame. 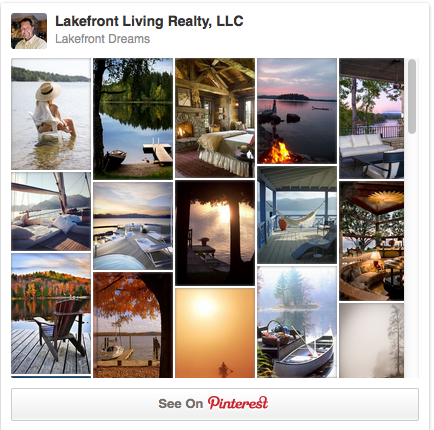 Connecticut also has some of the most beautiful lake property and lakefront homes ranging from affordable to luxury. Across the state, there are over 3,000 beautiful lakes, ponds and reservoirs that offer all kinds of water activities you can enjoy by owning a piece of Connecticut lake property. You can take a swim, go out on the boat, fish, kayak, picnic, hike, camp and so much more. And don't miss all the great restaurants, hotels and B&Bs nearby. Some of the most popular lakes in Connecticut are also the most scenic including Bantam Lake, Lake Waramaug and Candlewood Lake; Connecticut’s largest man-made reservoir. The locals know where the best lakefront property in Connecticut is and where to go to enjoy smaller lakes tucked into wooded areas and state parks. Some are better for fishing and boating, others allow swimming. Each one has its own local rules and regulations. The state keeps tabs on swimming water quality at 19 Connecticut lakes and ponds as well as over 100 of the 315 state, municipal, and private boat launches. Lake house real estate in Connecticut is as diverse as the lakes they are on with a buildable waterfront lot selling for $160,000 all the way up to $11 Million for a multi-acre luxury waterfront property. 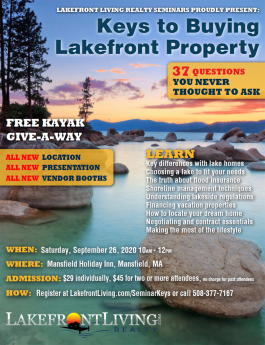 The details on over 200 Connecticut lakes and ponds are defined on this site including all the lake houses and real estate for sale around them.